In case you haven’t noticed all the advertisements and decor, it’s officially the holiday season. While it should be a season of fun and joy, it’s often a season of stress and anxiety. Not only is your team dealing with added family holiday obligations, but many are likely feeling the extra stress of shortened holiday deadlines, end-of-the-year demands, and frazzled customers at work too. Yikes! With that in mind, it’s important to take a load off and celebrate this magical time of year with your colleagues and coworkers. A corporate holiday party is a perfect time to reflect on the accomplishments of the year, look ahead at what’s to come, and just enjoy each other’s company. It’s not too late to get a special holiday gathering on the books. Looking for some inspiration? Here are a few festive ideas for your company’s holiday celebration. No matter what you opt to do for your holiday gathering, step one is getting out of the office. It’s hard to get in the holly jolly spirit when your computer, to do list, and blinking voicemail light are looming over you. Besides just creating a more festive atmosphere for your team, there are a plethora of benefits of hosting meetings and events off-site, from improving company morale (which in turn reduces health issues and increases productivity) to additional space and amenities. If you plan to go all out for your holiday gathering and have a large guest list, booking a corporate event space or banquet hall with additional audio/visual equipment, parking, and room to move around are a necessity. It may be cheaper to pull something together at your existing office space, but if you really want to make the event special and rewarding for attendees, then an off-site holiday party venue is well worth the price. Trivia is a great way to spark some interesting conversations, get people to mingle across departments, and foster some friendly competition among your colleagues. From popular holiday movies and songs to best-selling toys and gifts throughout the years, there are plenty of different directions you can go with holiday trivia, which makes it a versatile activity for any team. Trivia can also be a great way to help people connect and bond through questions about different cultural, family, and religious holiday traditions. 3. Host a non-traditional tree decorating contest. Who says Christmas trees have to be evergreen? 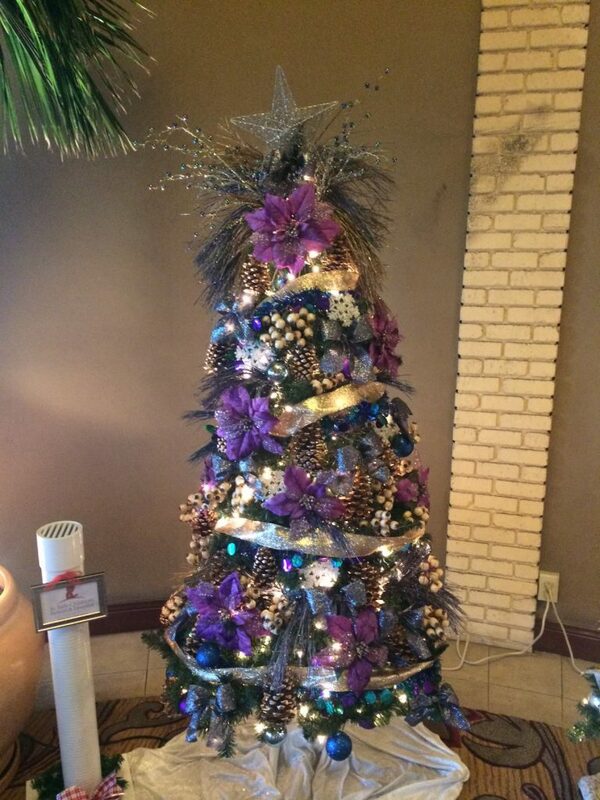 Let employees have some fun and get in the holiday spirit with a nontraditional tree contest. Trees can be made out of anything, from books to cups to hubcaps — the more creative and wacky, the better. Bonus points if someone can create a tree out of your company’s products or one that highlights your company culture. Like trivia, it’s a great way to spark some conversations and competition among the team. Since the trees are festive and fun, you won’t have to do much in the way of decor for the event, plus you’ll have lots of festive photos to share on social media. 4. Indulge in healthy or unusual holiday treats. There’s definitely an abundance of rich, sweet, and unhealthy foods during the holiday season. While it’s perfectly fine to indulge and enjoy, it’s also important to keep health and fitness top of mind. If your company has a wellness program or a health-focused initiative, why not put that in the forefront during the holiday season? You could have everyone bring in their best sugar-free, gluten-free, low-fat, or vegan/vegetarian holiday treat for others to sample and enjoy or have a caterer whip some healthy options up. All the holiday goodness with none of the guilt! Don’t be afraid to have some fun highlighting some new food items too. There are plenty of amazing holiday recipes from around the world, some of which have even evolved into our traditional holiday menu items here in the United States. We’re lucky to have Chef Hiro here at Anaheim Majestic Garden Hotel. He brings his flair for Japanese flavors and foods to our guests, including delicious catered options and sushi-making demonstrations that guests love. 5. Have a gift wrapping party. Gift wrapping is one of those holiday tasks that many would prefer to avoid. However, many hands make light work, so why not turn your holiday gathering into a gift wrapping party? The company can provide wrapping paper, bows, and ribbon, or everyone can bring in some of their own supplies to share. Once the supplies are ready to go, turn on some holiday tunes and work together to get all the presents wrapped and ready to go (like Santa’s little elves). While this may not seem like a fun party idea, you may be surprised how it captures the giving spirit of the season and allows employees to bond. Local charities and shelters can always use a helping hand wrapping gifts and donations this time of year, so it’s a great way to give back and spread Christmas joy to others who may be less fortunate. If employees are wrapping gifts for their own loved ones, they’ll appreciate the extra help. Plus, crossing another item off their holiday to-do list means they’ll be able to spend more time with loved ones outside of work hours throughout the season. It’s a win-win for everyone. 6. Enjoy a holiday Scavenger hunt at Disneyland. As a Disneyland® Good Neighbor Hotel and Disney fans ourselves, we simply can’t put together a holiday list without encouraging our guests to check out what’s happening at Disneyland® Resort right down the road. Disneyland® Resort is extra magical during the holiday season, with festive lights, food, attractions, and more from mid-November through early January. One of the benefits of working with a hotel near Disneyland® Resort is that you’re close by all the Disney holiday magic, so go ahead and take advantage of it! A scavenger hunt through “the Happiest Place on Earth” can be a fun and memorable way to celebrate the season and spark some friendly competition with your team. The Disney experts at our Disney Desk can help you put together an epic holiday-themed competition that everyone is sure to be talking about well into the New Year. 7. Spread the cheer with a holiday happy hour. Ring in the New Year and toast your company’s accomplishments with a festive holiday Happy Hour. Alcohol (in moderation) is a great way to help employees relax and kick back for a while. Spiked eggnog or apple cider, hot buttered rum, and anything peppermint are always appreciated and Christmas parties and other holiday gatherings this time of year. Some bartenders, like the ones at Anaheim Majestic, will also craft a delicious custom cocktail just for your party or host a tasting party to allow attendees to indulge in a variety of different flavors. 8. Volunteer and give back as a team. It’s the season for giving and being thankful, so why not take the time to give back to your community? Bell ringing, food drives, community meals, and other holiday volunteer opportunities are plentiful throughout Orange County this time of year and provide a wonderful opportunity for colleagues to bond and help the community at the same time. After you spend some time giving back as a team, you can meet back together to debrief and share stories, insights, and the results of your efforts. If you can’t find a date or organization that works for your team, consider taking at-will donations for a charity during your holiday gathering. 9. Host a holiday painting or craft party. Homemade gifts are often the best gifts, which makes a holiday painting or craft party a great idea for your team. This type of holiday celebration will definitely appeal to the DIY-lovers and crafters at your company. From ornaments to canvas to glass, there are plenty of painting and craft ideas available online that allow your team members to showcase their creativity and holiday spirit. Not only will they have fun creating their masterpieces, but you’ll have some great photos for social media and some holiday decor to display around the office until the season is over. 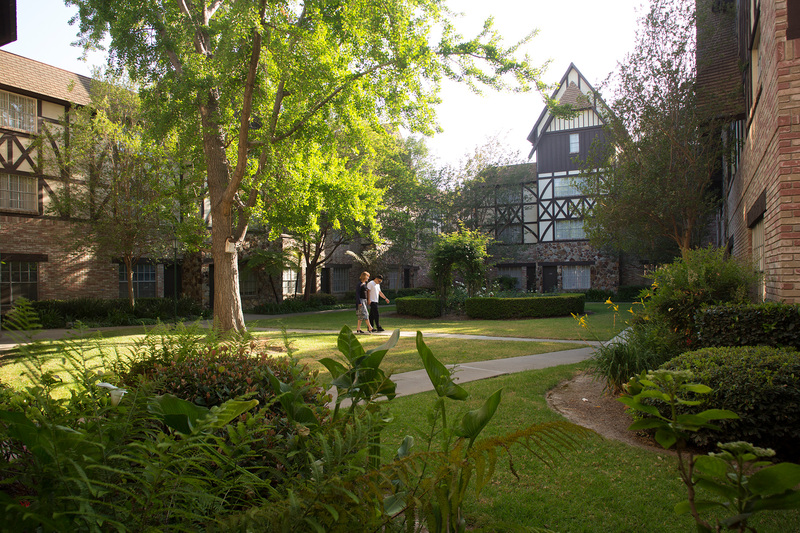 Thanks to the lovely weather in Anaheim, California, we frequently host painting parties on our beautiful patio, lawn, and gardens here at Anaheim Majestic and we love seeing all the smiles and joy it brings! No skill required, just fun! 10. Host a guest speaker or entertainer. Entertainment is crucial to a party and often serves as the anchor of the event. The holidays are extra special, so they call for extra special entertainment, right? Is there a motivational speaker or a thought-leader in your industry that your colleagues could benefit hearing from? A corporate party is a great time to book that presentation since everyone is looking toward improvements and new beginnings. They’re sure to get everyone fired up and talking about all the changes, improvements, and new ideas to come in the new year. If that’s not quite your style, then musical entertainment from carolers, a band, or a DJs can also help set the mood and create a festive ambiance for the gathering. Comedians and magicians can also provide some excitement, laughs, and a one-of-a-kind experience for attendees. Our hotel guests have continuously been awed by magician David Minkin’s award-winning Evening of Enchantment here at Anaheim Majestic. Our event planners would love to hear from you. Request a proposal to get started!